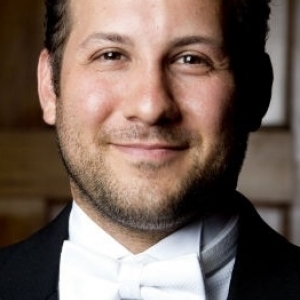 A conductor with expansive musical interests, Julian Pellicano is a formidable interpreter of the symphonic repertoire as well as a versatile conductor in a diverse blend of genres. The Winnipeg Free Press says of Pellicano, “His versatility is truly astonishing…” Julian Pellicano is currently the Resident Conductor of the Winnipeg Symphony Orchestra where he conducts on all of the orchestra’s various concert series. In addition to his position with the Winnipeg Symphony Orchestra, Julian keeps a busy schedule of international concerts and projects. He has recently led concerts with the Orquestra de Valencia (Spain), the Louisiana Philharmonic, Hartford Symphony Orchestra, New Britain Symphony, Orquestra Sinfonica de Porto Alegre (Brazil), the Eastern Connecticut Symphony, Tuscaloosa Symphony, Milwaukee’s Present Music, The Dinosaur Annex Ensemble, Groundswell Contemporary Music, The Brandon Chamber Players, and appeared at the first edition of the Ciclo de Música Contemporánea de Oviedo (Spain). Equally at home in ballet, opera and theater, Pellicano recently made his debut with the Royal Winnipeg Ballet in two productions and has also led performances with the Huntsville Ballet and Eastern Connecticut Ballet. Fully staged opera productions include The Marriage of Figaro, Rinaldo, The Medium, La Cenerentola, The Pirates of Penzance, a staged version of Kurt Weill’s Mahagonny Songspiel, Nancy Van de Vate’s Where the Cross is Made and In the Shadow of the Glen, as well as collaborations in musical theater productions of South Pacific and A Chorus Line with Winnipeg’s Rainbow Stage. Pellicano has built his career by following an unconventional path. The creation, with Dr. Paul Lehrman, of a new performance edition of George Antheil's Ballet Mecanique first brought Pellicano to the public’s attention. He studied conducting as a fellow at the Yale School of Music and he has conducted in masterclasses with Kurt Masur, Peter Eötvös, Zsolt Nagy, Martyn Brabbins, Carl St. Clair, L’Orchestre Philharmonique du Luxembourg and the Royal Scottish National Orchestra. An autodidact, he was accepted to the Peabody Conservatory as a percussionist without typical classical training, and continued his percussion studies at the Royal College of Music in Stockholm, Sweden and at the Yale School of Music where he was a member of the critically acclaimed Yale Percussion Group. Pellicano also holds a degree in philosophy from The Johns Hopkins University.